Below you can view test the script version. Click the rotation buttons to see the animated turns. All you need is a wrapper and a div element for each side. Below the cube I added the links to control the cube rotations. I colored the object according to the color scheme of a Rubik’s Cube and set a slight opacity. 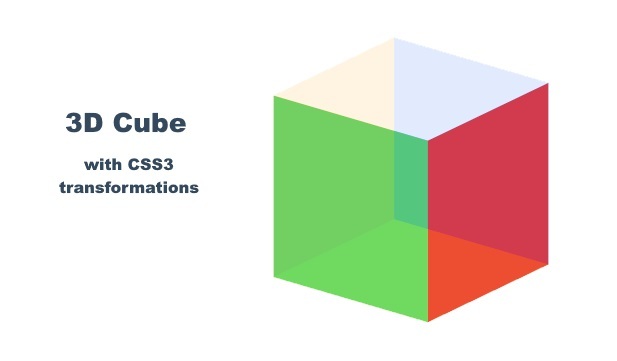 The six sides of the cube are positioned with the transform property. In this case we need to add the adjustments below to our style sheet. This will smoothly change the rotateY value. Play with the code in JSFiddle.